This is just what a great dad like me should win for father’s day. Since we don’t have any other kind of recorder (other than our phone), we would be taking videos like crazy! The first thing I would get a video of is my daughter dancing around. She loves when music videos come on or American Idol. If I win, I will use the Slide while interviewing locals and fellow travelers on the cross-country train trip I’ll be taking this summer. I would use the flip to tape my kids activities. Finally I could have home movies again! Suscribed. I would use it to take family videos. I would use it to record the kids! I would film our crazy cat in hopes of a viral video we could spin into an empire. I would use this to record my friends birthday party. I’d love to take videos of my new puppy and my grandkids. I would go absolutely balistic, videoing my son, friends and the rest of my family. It has been a very long time since we had a camcorder and I miss being able to look back at all the fun occasions. I’d use this to tape all my nieces & nephews sports games! All the fathers in my family would love this.It would capture memories of their childrens childhoods. I would record my friend. I could record videos of my great granddaughters at their dance recitals, swim meets, and soccer games.I already subscribe. I would use the Flip to capture my girls on video. They are almost grown and it would be nice to get these last few years of school on video. Thank you for the great giveaway. I subscribed and I would use it to make videos in HD and experiment with special effects! I will use the Flip SlideHD to take pictures of our cat Baby, who does the craziest things - then post the movies on youtube. I’m a subscriber and if I win I would use the Flip Slide to capture my son’s sporting events, currently baseball. 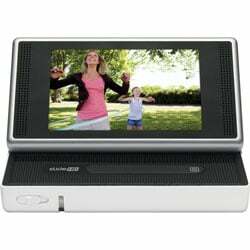 I would give the Flip SlideHD Camcorder to my husband for Father’s Day! I’d capture all the wonderful memories that me and my sister will share in the future. We love to record videos of ourselves and look at them years later. I would give it to my daughter for taking video of my grandson. I would film my mother, who is almost 92 years old, telling some of her favorite memories. Things like, growing up, making friends, graduating high school, getting her first job, meeting my father, having and raising her children, favorite home, best vacation, etc. I would record my children dancing and singing and of course ME because i LOVE the video camera!! And I would definitely record future blogger conferences that I attend! I would take videos of as many beautiful attractions this country has to offer, like Yosemite, Sedona Red Rocks etc. as I drive across country to visit my family for the 1st time in a decade and give the videos to my nephews and nieces so they can see what this country has or maybe had at their point of being old enough to appreciate it. I’m subscribed and I would use the camera to video my son and his father. His father is in poor health because of complications from brain surgery related to service in Iraq. Though he’s slowly getting better! I subscribe and I would record my 1 year old grand niece so that my father (her great grandpa) will be able to see her grow up! I subscribed . I would want the flip sideHD because I am a young adult that is going into her senior year. I want to go to school for promotions and marketing and music management. Having this awesome camcorder could help me capture so many moments during shows and other events that I couldn’t have done before. Life is tough right now for my family with the economy so I can get all the goods such as a sweet camera or a nifty camcorder but winning this giveaway would really enhance my career with promotions and marketing just being a teen still in highschool. thanks! A friend of mine wants to shoot some webisodes, so I would use this to record them. I will talk about it endlessly on FB, where I have 1577 friends. It will have its own room. It can have all its friends over for sleepovers. I will treat it like my son. I am already a subscriber - I would take videos of my dogs, vacations and anything else I think of later when I have the camera! I would flip every first great things about my son. Me and my wife just had our first baby boy May 9 (Mothers Day). Hopefully we could catch his first steps !!! I would love to take videos of my grandchildren that I rarely get to see…and also nature videos. Nature is truly awesome and amazing. If I won, I’d use the the Flip SlideHD to catch my Dad doing goofy Dad stuff; like sleeping and pretending to be awake/sleep-talking, watching bowling, playing sports and failing miserably or perhaps catching one of those “surprise trick shots” while he’s playing washers or something…or catching him doing what he does best, bowling! I have been a subscriber for awhile! I would use this flip to film family vacations. I would capture our camping trips. Our two daughters are only toddlers so we go as often as we can. It would be nice to capture as much as we can before they turn into prissy girls afraid of bugs and dirt. I would LOVE to win this, and yes I am a subscriber. I would record my weekly trips to the local racetrack. I would LOVE to win this, and yes I am a subscriber. I have no idea why the first sentence was not in my previous entry..